Mote Marine Laboratory kicked off its 60th Anniversary with a celebration Thursday, where Mote leaders announced a new $50-million fundraising campaign to expand the Lab’s impact in marine science and education locally and globally. Mote leaders unveiled Oceans of Opportunity: the Campaign for Mote Marine Laboratory to 225 supporters, contributors and friends of the independent, nonprofit Lab during an invitation-only gathering Thursday evening, Jan. 22, at Mote’s home base on City Island, Sarasota. The campaign — Mote’s first multi-year, comprehensive fundraising effort — marks a pivotal moment for the Lab’s science and education missions, which have led to groundbreaking discoveries about marine ecosystems, supported economic development and helped millions of people become more ocean literate. Mote was founded in 1955 as a one-room lab by famous “Shark Lady” Dr. Eugenie Clark. Since then, Mote has grown to become a world-class research institution with more than 200 staff including 35 Ph.D. scientists. Mote’s 24 diverse research programs operate at six Florida campuses, and its scientists work around the world. From the beginning, Mote’s success has depended upon passion, partnership and philanthropy. Mote’s passionate scientists and educators have forged meaningful partnerships with their communities, and caring philanthropists have helped fuel their vital work. For example, the Vanderbilt family provided crucial support to help Clark start the Lab, and major benefactor William R. Mote, the Lab’s namesake, helped it become the world-class institution it is today. Since then, donors have remained a critical pillar of Mote’s strength. 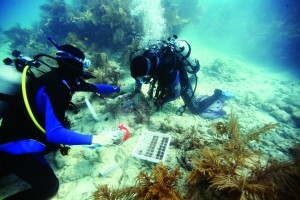 Guided by its 2020 Vision, Mote aims to advance its marine research enterprise, recruit and nurture more top scientists and educators, particularly fostering next-generation Ph.D. researchers, and expand its local and global science to support conservation and sustainable use of marine resources. 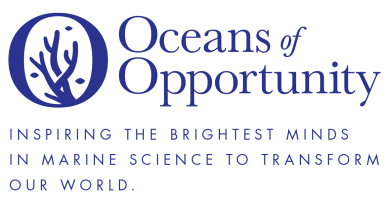 Guided by Mote’s vision for the future, the leaders of Oceans of Opportunity worked hard to choose a powerful and attainable fundraising goal and to take major steps toward it before the campaign’s public debut. Sarasota philanthropists Carol and Barney Barnett have donated $3 million to help Mote implement its Fisheries Conservation & Enhancement Initiative to protect and restore fisheries in Sarasota Bay. The Barnetts have challenged the community to raise $3 million more, matching their gift for Mote’s campaign. As a scuba diver and angler, Carol has first-hand knowledge about ocean changes — for better and worse. “It really hit me when I learned what Mote was doing, that it was so much more than a little family activity. Mote is worldwide and making sure that we take care of the ocean environment. We have to be knowledgeable about what’s going wrong and what’s going right. The Gardener Foundation, based near Mote’s main campus in Sarasota, has made a significant initial investment of $5.14 million to advance Mote’s ability to significantly expand its research infrastructure in the Florida Keys. The expansion will involve constructing a new building on existing Mote property on Summerland Key to greatly enhance our research and education activities. Mote’s current research facility on Summerland Key is a hotbed of marine science, education and conservation that addresses some of the most pressing ocean challenges of our day — particularly the global threats facing coral reefs. As long-time supporters helping to lead the way for Mote’s efforts to grow, The Gardener Foundation has shown tremendous excitement and good faith. They have expressed their confidence that Mote and its supporters in the community can quickly raise the funds required to complete this effort. Leadership giving: Several anonymous donors have helped lead the way by providing more than $1 million each through Oceans of Opportunity and many others have committed. Visit https://mote.org/support to learn more and support Oceans of Opportunity. Share the wonders of Mote with your family and friends. Visit Mote Aquarium, open 10 a.m.-5 p.m. every day of the year at 1600 Ken Thompson Parkway, City Island, Sarasota. Attend Mote’s events and fundraisers throughout 2015. Learn more about Mote research.